Rushmore. A small but prestigious private school, churning out tomorrow’s business and thought leaders one class at a time. The can-do attitude, determination and confidence got Max Fischer (Jason Schwartzman) in (via a scholarship). A complete lack of ability, focus and aptitude might soon see him out. But Max’s unflappable self confidence isn’t confined to the school grounds. When Max comes across Herman Blume (Bill Murray) a local business owner and father of two aggressively obnoxious boys, Max feels he has met a peer. When he approaches new teacher Rosemary it is not as a student but a potential mate. The age difference doesn’t matter. Neither does the fact that Max wouldn’t have the first idea what to do even if she did reciprocate. These scenes are at once creepy and plaintive. Max doesn’t realise how inappropriate he is acting. He is insecure and more than a little obsessive; but still a kid, all petulance and doom and gloom when things don’t go his way. The core of the tale involves the trio of Max, Herman and Rosemary, and the complicated state of affairs they find themselves in. Max and Herman are kindred spirits of a different kind, Max is all intensity and aspiration, but without ability. Herman already has climbed to the top, only now he no longer cares to remain there. Both Max and Herman like Rosemary, though where Herman sees companionship and possibly love, Max sees a conquest. …OK got a little deep there. Rushmore isn’t a particularly deep or confronting film. It is a slightly askew, mostly winsome character study, with director Wes Anderson still carving out his niche as the guy who would come to specialise in them. As with Napoleon Dynamite, Rushmore is a film with a young and polarising central character who doesn’t quite fit in anywhere. 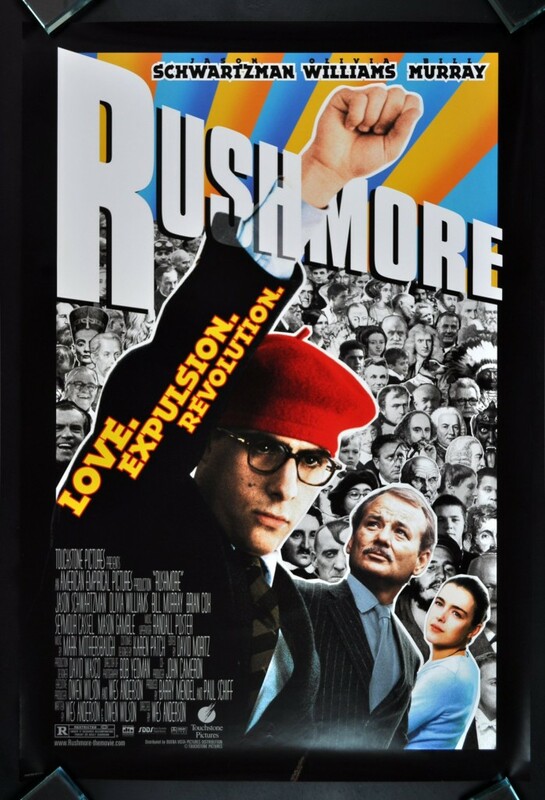 But Rushmore has far more depth and far fewer catchphrases than old Nappy D. Come the end of the film, you might very well still loathe Max Fischer, but you’ve got to respect his effort and energy. You can’t knock the hustle. Final Rating – 7.5 / 10. A film that lives and dies with its central character. I prefer to give Max a chance. I like the film. Many hate him, and it.